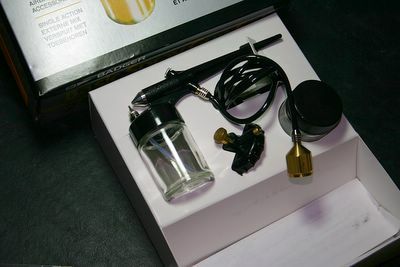 I also took some advice from a very experienced modeler and bought a very simple Badger 250 to do my airbrushing of larger surfaces. I was messing around with my new laptop tonight so I didn't get a chance to go down to the compactor room and try it out. Maybe tomorrow night. 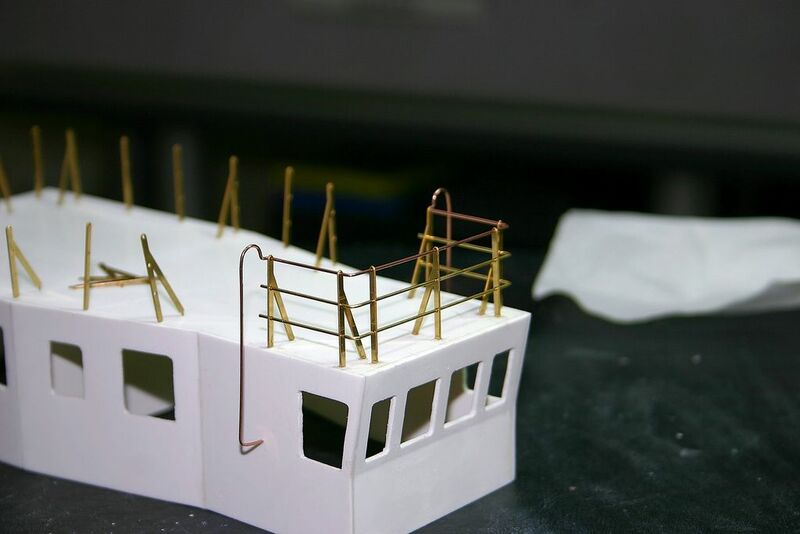 got some work done on the railings on the wheelhouse. I started using the wire in the kit which is pretty hard to work with. I bought some brass wire at a local hobby shop which was a little easier to work with.